The City of Boston is experiencing phenomenal growth. Between 2010 and 2014, our population grew by six percent, adding nearly 40,000 new residents and growing twice as quickly as the nation. Fueled by strong knowledge economy, we gained nearly 45,000 new jobs at the same time. Growth is essential to becoming more inclusive. While Boston is evolving rapidly with diverse residents, new jobs, and more housing, many Bostonians are struggling. Housing prices are increasing, transit networks are strained, and systemic poverty persists. Racial divisions endure and Boston’s children grow up with uneven access to opportunities. Growth provides us with an opportunity to make investments that address these challenges and improve quality of life for all Bostonians. Visit this link to learn more about this program and how you can get involved Boston’s growth. 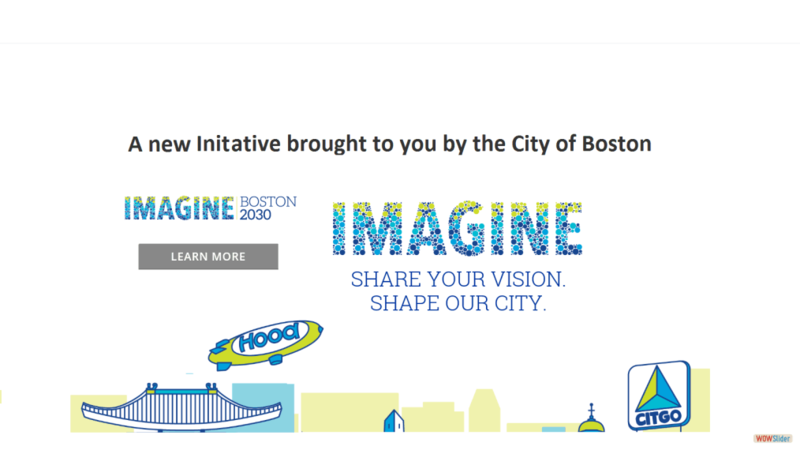 Visit Imagine Boston 2030 and offer your support for the World Unity Landmark with its timeless and universal message of equality, diversity and inclusion. The Sun poem inspired the vision to build the symbol and will be showcased in the design concept. Let Boston know the World Unity Landmark would be a great addition to the city landscape and gives us powerful message to help create a community and world that values everyone.